Douglass Kansas | Small town lifestyle close to urban amenities! 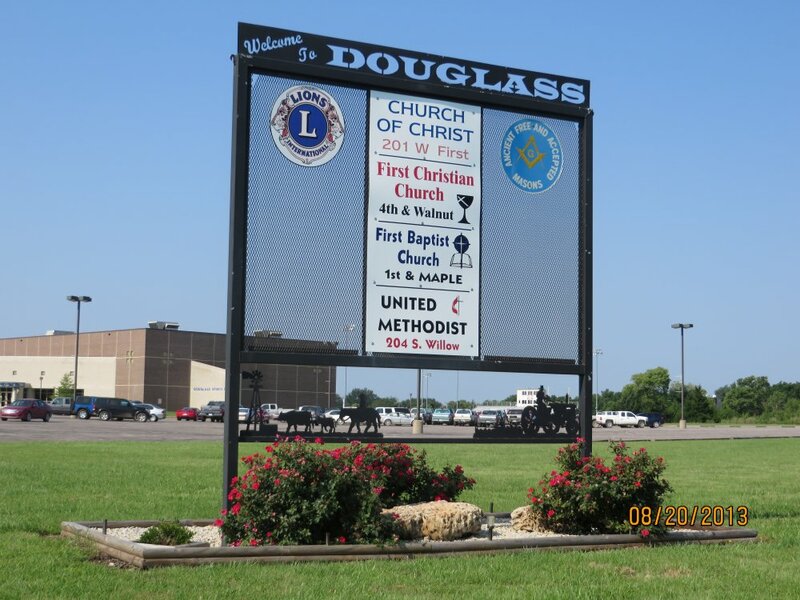 Douglass is a small bedroom community located in Butler County, Kansas. With a population of less than 2,000 citizens, the community offers the appeal of small town life that is conveniently located near a bigger city amenities. Douglass is an ideal place to raise a family, with a safe, comfortable environment. A public park including a municipal swimming pool, playground and sand volleyball pits gives residents and visitors alike a place to gather and experience the true essence of small town living. A number of community-based events and festivals give both longtime residents and newcomers a chance to be involved. A visit to our town promises scenic views of golden wheat fields and brilliant sunsets, rustic bridges, old barns, brick streets and beautiful summer storm clouds. Douglass boasts an interesting and memorable past, along with the comforts of the present and the promise of a bright future. If you’re in the area, we hope you’ll pay is a visit. For those considering relocation to Douglass, please browse our website for helpful city resources.